In case you haven’t notice, I kinda love holidays. Sometimes Mr. Danger and I make up our own because we feel like life is more fun when you have something to celebrate. 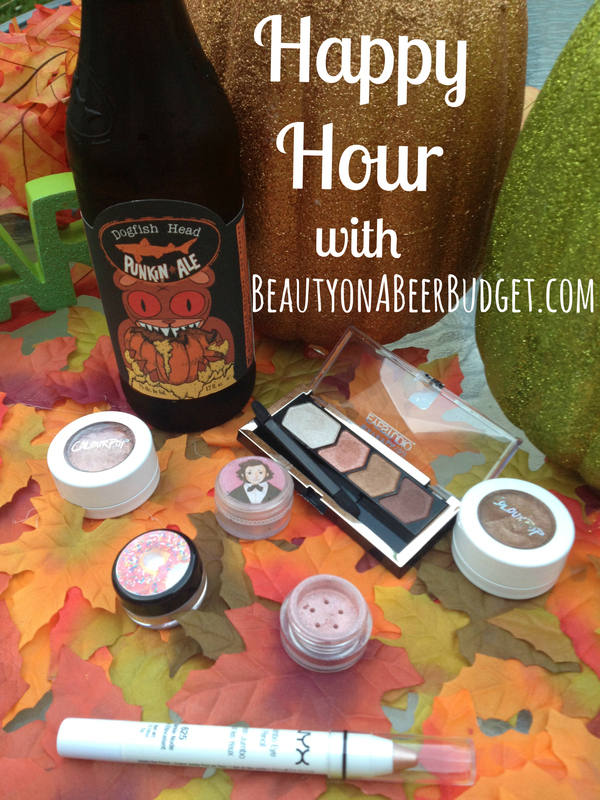 That being said, there was no way I could NOT make this Happy Hour post Halloween themed. 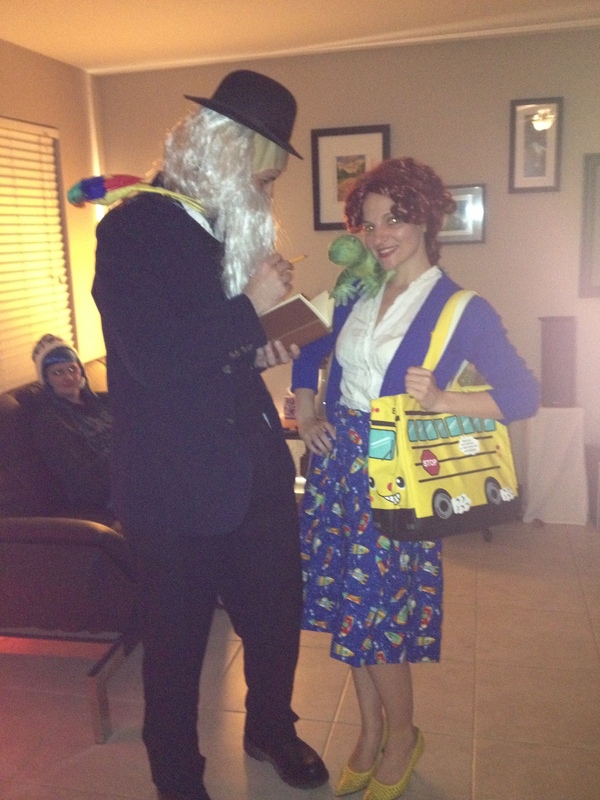 Honestly, my Halloween costumes/plans are pretty lame this year. (Can you believe I’ve had very little time/money/graduation on my mind, and haven’t put much effort into costumes? Well, it’s true.) In the past I’ve had some good ones. This year I think I’m just going to my favorite beer place and I will probably be going as glitter. That’s right for Halloween, I’m going to be glitter. It will be great. Now if you’re feeling more ambitious than me, that is good news! 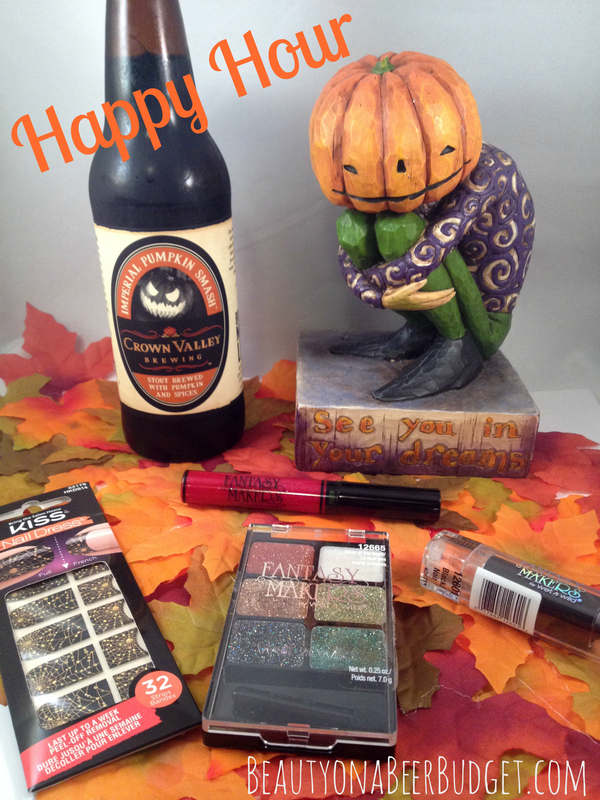 I have the perfect Halloween beer for you, as well as some fun, cheap Halloween makeup for a last minute costume! Just in time for Halloween, my Notoriously Morbid Vanishing Cabinet showed up last week! I was already impressed with their September subscription, (which you can check out here), and I just keep getting more pleased with this subscription. First of all, these eye shadows are amazing and so are the extra lip products that seem to be included in each subscription. 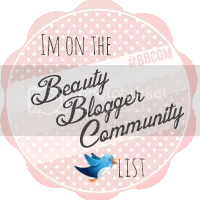 Second, there’s a theme each month-and I love me a good theme. Third, it’s $12.90 a month, which is not bad for all the product you get! There is a wait list at this moment for the subscription, but I would follow Notoriously Morbid on Facebook for more info on any openings. 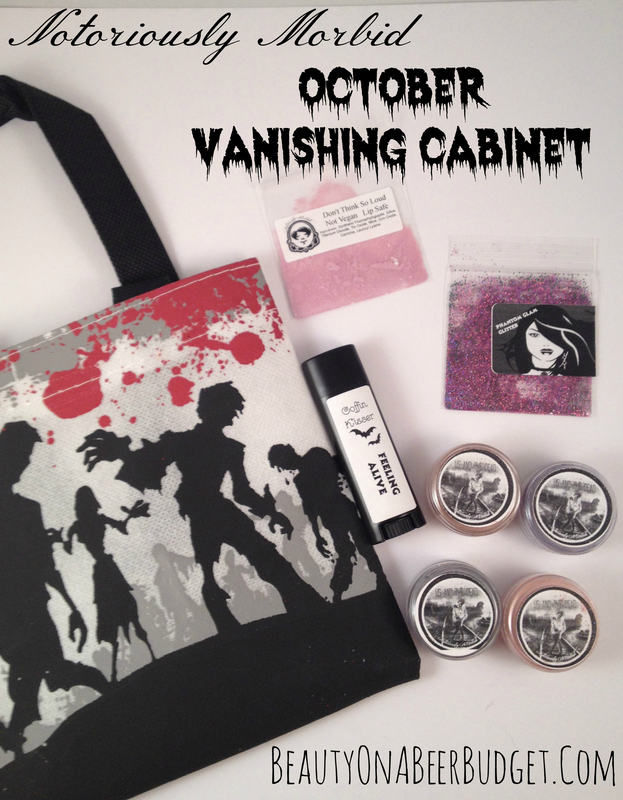 Anyway, if you’re interested in what comes in one of these little dudes, check out this month’s Walking Dead themed bag! I’ve been waiting for a chance to use that font. 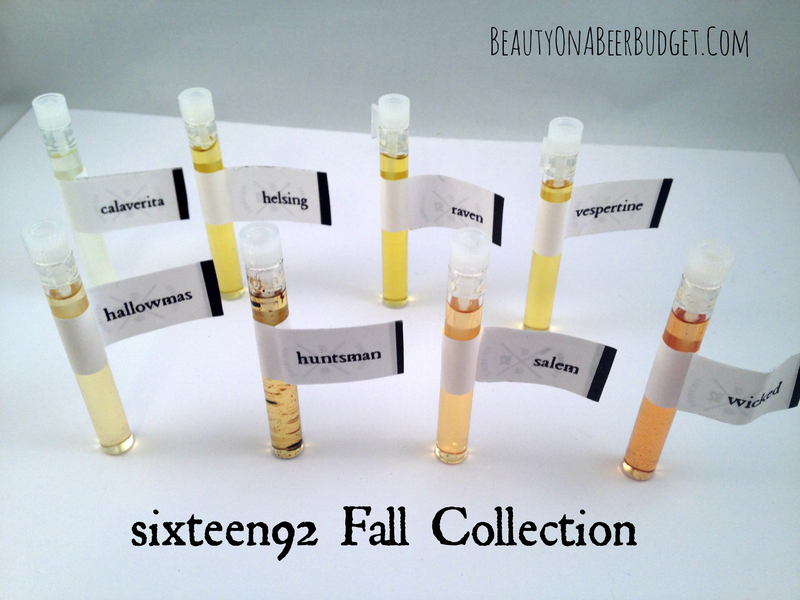 I’m almost done with my reviews of the indie perfume autumn collections! Just in time for their Yule collections to come out! Today’s review comes from a fairly new company, sixteen92. I had heard great things about this shop and I had to try. 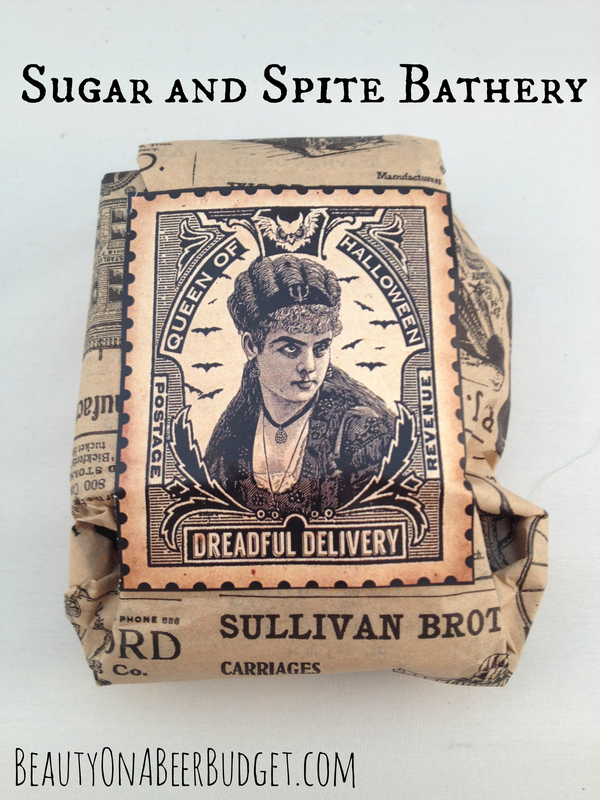 Claire, the owner, runs the shop through Etsy and obviously takes a lot of pride in her products. The branding and imagery of sixteen92 doesn’t look like a new company, but rather one that’s experienced and polished. .I ordered my Fall Collection on September 16th, it shipped on September 22nd and showed up in its new home with me on the 24th. That’s about a 2 week turnaround time, which is fairly normal in the indie world. 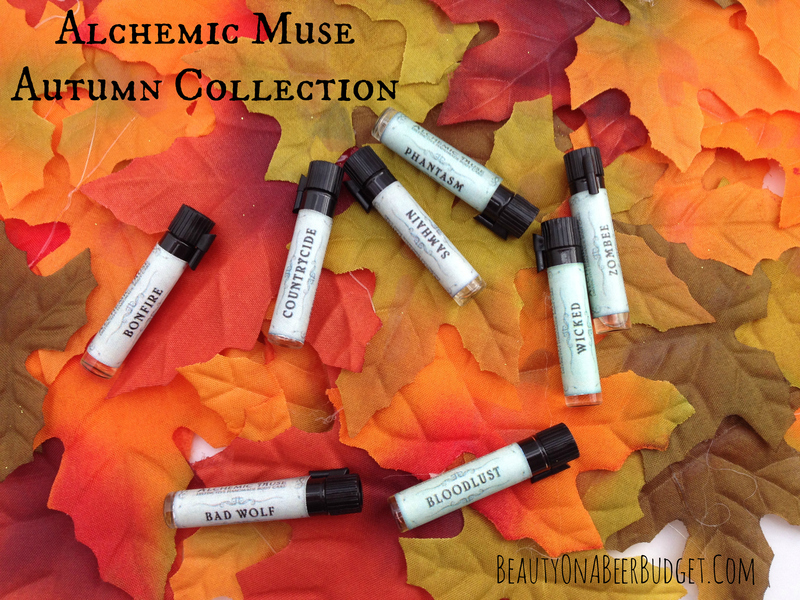 8 scents came in the Fall Collection, and though I didn’t love them all, they were all very different and interesting! Taking a little paper writing break here, because I had to share my Rainbow Honey Mystery Bag, (mini size, $12), from this month. Also as you guys know, I’ve kinda been in a grad school funk lately, so receiving a great package always lifts my mood. 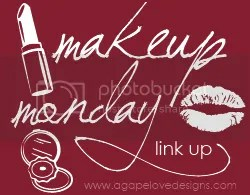 (So does buying lots of makeup-but I’m sticking to my budget!) And this Rainbow Honey delivery made me smile and sniff everything. I wanted to post this review ASAP because I just realized Halloween is in less than two weeks! I don’t know how this happened! I haven’t even gotten to watch my traditional Halloween films, Hocus Pocus and Ernest Scared Stupid Yet. Classic films of greatness, people. 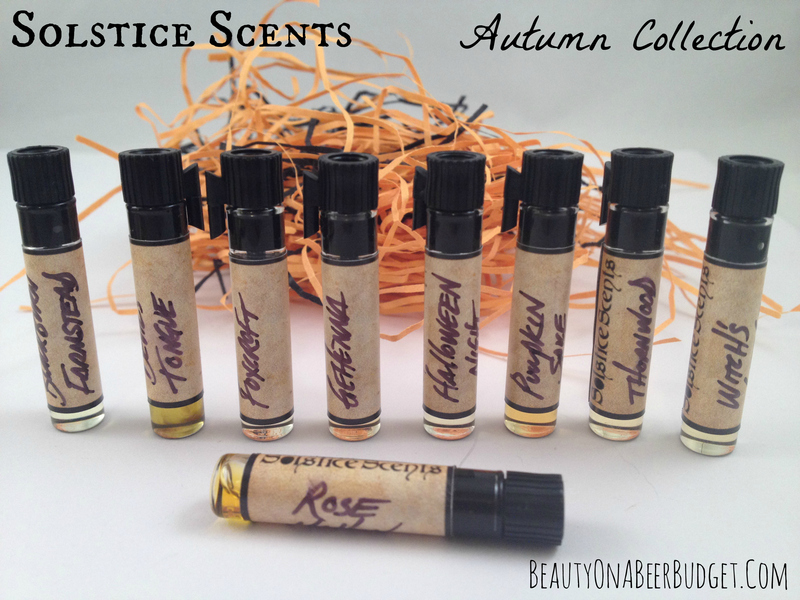 So, seasonal stress aside, I wanted to review some of Sugar and Spite Bathery’s Halloween scents before it was too late, because they are pretty good. Also you can get a sampler box for $12 with shipping, so it’s not going to break the bank! Also their themed packaging is super thoughtful and perfect for Halloween! I did not forget you! If you recall from this post, thesis has eaten my life and I’m on a Friday-only posting schedule for the time being! Anyway, I’m being good for now, but if I get some free time this weekend I don’t know if I will be able to resist the siren call of swatching and sharing. 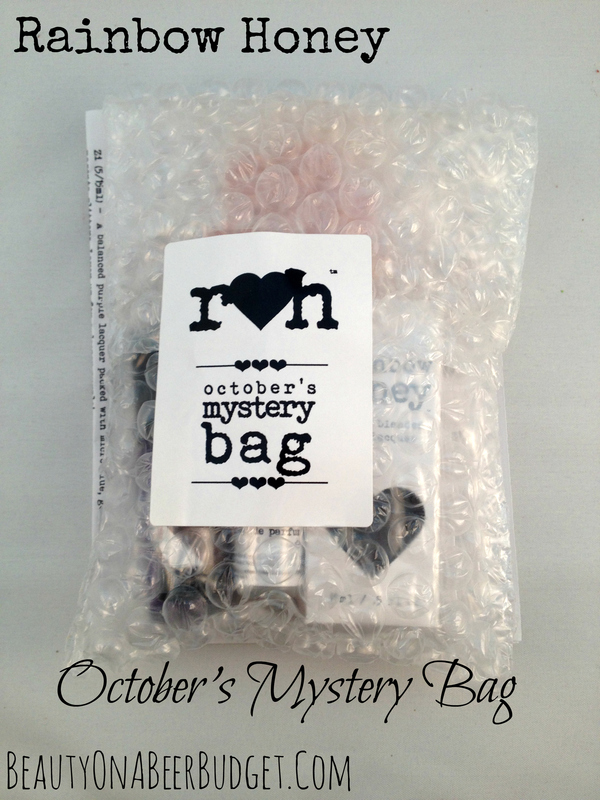 For example: My Rainbow Honey Bag for October was awesome, I have to show you. It’s for your own good. Really. This week the Happy Hour Pumpkin Beer Fest of 2014 continues with a lighter pumpkin beer, I picked this one out specifically for craft beer beginners or those of you who mentioned you’re not sure of how to get into beer. This will be your gateway pumpkin beer! 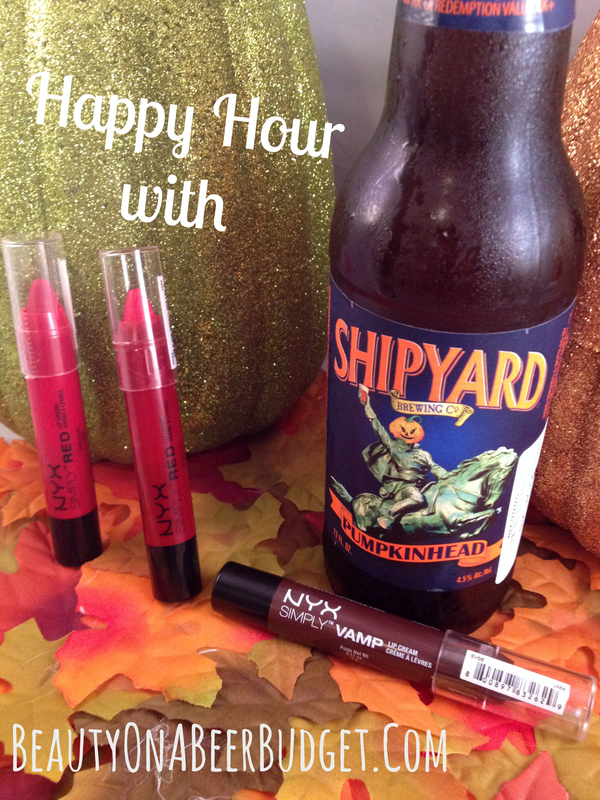 Also I finally grabbed some NYX Simply Vamp and Simply Red Lip Creams, and you might need these in your life. Grab your favorite beverage, we have a lot to catch up on! 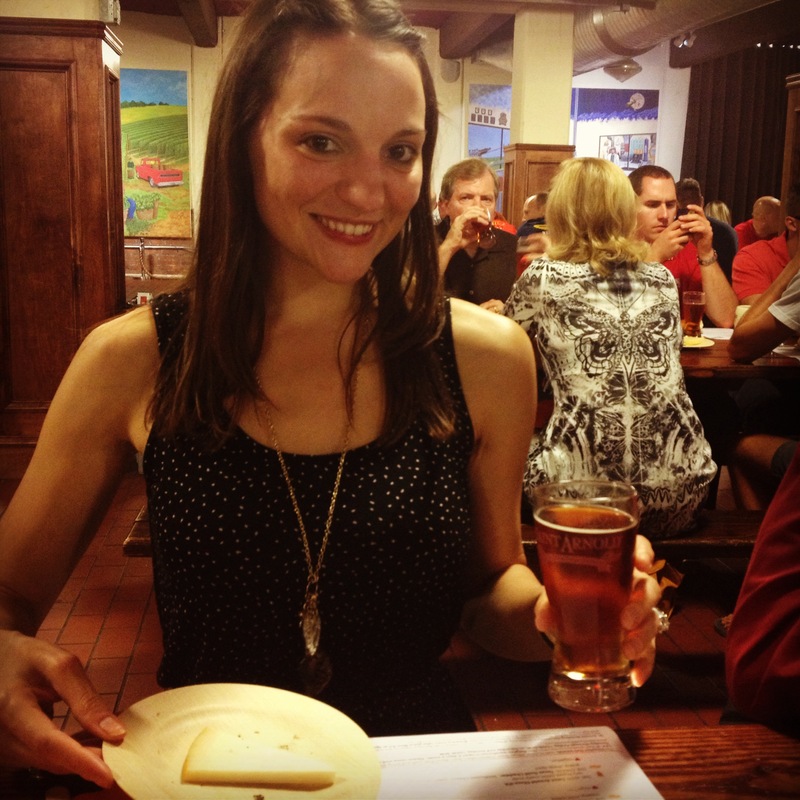 Or grab some cheese if you are under 21.